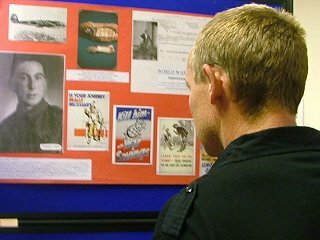 Between February 2004 and July 2006 the Imperial War Museum ran an educational programme supported by the Big Lottery Fund as part of the official commemoration of the 60th anniversary of the end of World War II. BCHRC’s TPYF project brought local Army Cadets and primary school children together with veterans, to help to further their understanding of conflict and its impact. 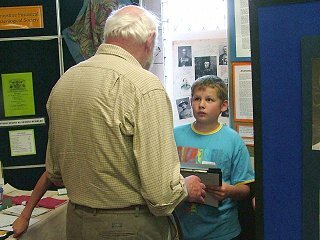 We also supported South West Shropshire Historical and Archaeological Society’s exhibition at the town’s annual Michaelmas Fair Keep the Home Fires Burning by holding a drop-in day for local people to bring their recollections, mementoes and pictures. These included Bevin Boys, several Home Guards, an evacuee, an evacuee hostess, two Land Girls, and an observer.